ACTP - Archetypal Network has been around since 26th September, 2018 and works without the need of a central bank or single administration. The crypto currency adopts the proof of work (pow) consensus, but is not mineable. This means to obtain ACTP, you can go with a cryptocoin exchange service. To keep updated with the latest news from Archetypal Network, you can find them on Twitter, Facebook, Reddit and Telegram. 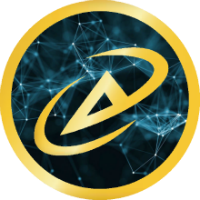 We don't have any exchanges listed for Archetypal Network yet, check back soon! We don't have any wallets listed for Archetypal Network yet, check back soon! We don't have any debit cards listed for Archetypal Network (ACTP) yet, check back soon! We don't have any price charts listed for Archetypal Network yet, check back soon!